If you’re interested in pop art, graffiti art, symbolic art, contemporary art, or mixed media, then I’d like to introduce you to Nicholai Khan and urban contemporary art. Khan recently launched a successful Kickstarter project that landed him over $11,200 closer to exhibiting his artwork at Art Basel in Miami, running December 6 through 9. 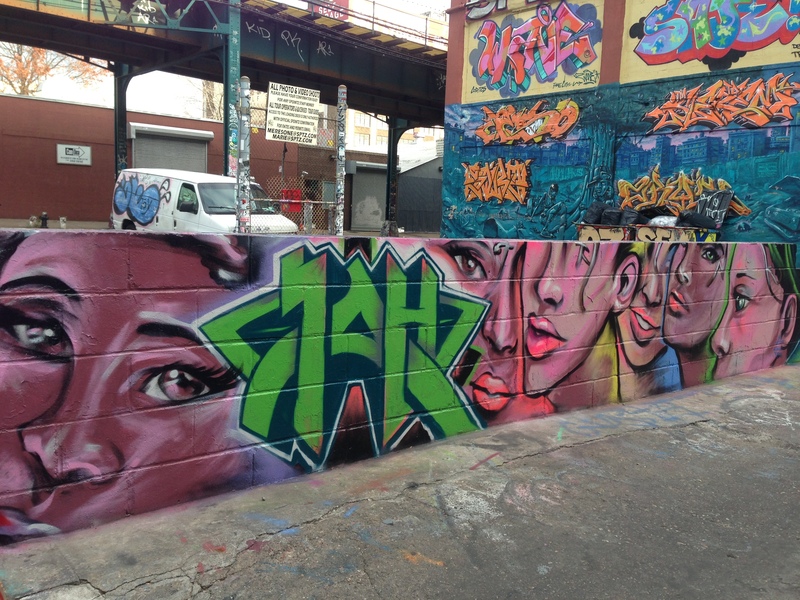 Khan, a mixed media and graffiti artist based in New York City, currently exhibits his collections in galleries internationally, as well as in the streets of New York City. 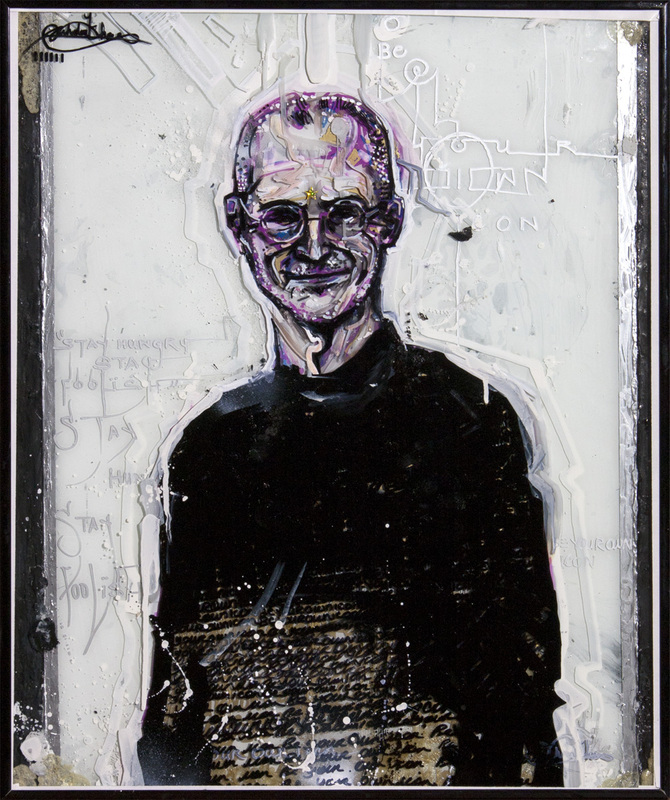 “Steve Jobs” from the Be Your Own ICON Collection, Khan. Urban contemporary art is not completely unknown, but has yet to gain wide recognition. As Khan describes, urban contemporary art is a form that mixes genres and mediums such as spray paint, oils, acrylics, markers, the list goes on. So it’s a form of mixed media, you ask? Well, that’s on the right track. While it seems urban contemporary art focuses on mixed media only, it uses whatever medium the artist prefers. Another defining aspect of urban contemporary art is its focus on urban culture, iconography, and iconology. This notion is seen in Khan’s work. Take Khan’s Be Your Own ICON Collection, which is featured at Art Basel this week. In case you didn’t watch the video, this human series focuses on various icons in history, such as Albert Einstein, Bob Marley, and Steve Jobs. According to Khan, this series is a study on how the lives of history’s icons are intertwined with the everyday person. “Mother Teresa” from the Be Your Own ICON Collection, Khan. Dragon and the Mask, Khan. 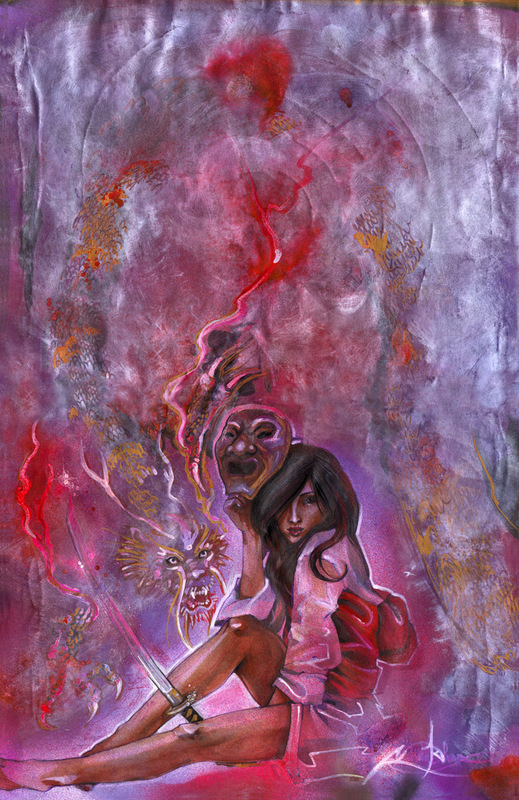 “Think” from the Aikhan Angels Collection, Khan. Khan’s work isn’t restricted to one medium, and if you look closely, many pieces in the Be Your Own ICON Collection use a range of materials. That’s the great thing about art — there’s no wrong way to do it. What do you think of urban contemporary art? Share more urban contemporary artists in the comments below!